SCHULTE Curly Viscose : 7mm pile. 10/70 cm / allmost 4/27 inches. Viscose antique: less shiny, short 6mm pile. 30/35 cm = ± 12/14 inch. NOW NEW also 25/70 = ±10/28 inch. Viscose in COLORS .. and what great colors they are.. pile is 6 mm. For sale in little pieces for those who like to combine ! Size 25/35 = appr. 10/14 inches. I can send up to 7 pieces color visc. for 10.- $ WW shipping. Dense, straight synthetic fabric, with ca. 6mm pile. The red dots are the photo's that show the color best ! Size 30/70 cm = ± 12/27.5 inch. Sorry.. the numbers are mixed up..
Have a good look please.. Same as the viscose 91 ! 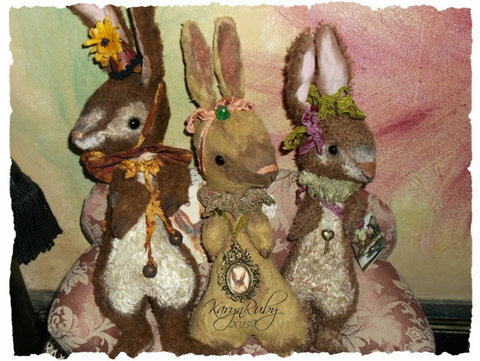 Some lovely PDF patterns using viscose can be found here, in Karyn Jarvis's store. Just click on the photo..
Big photo shows colors best ! ! This is how viscose looks.. 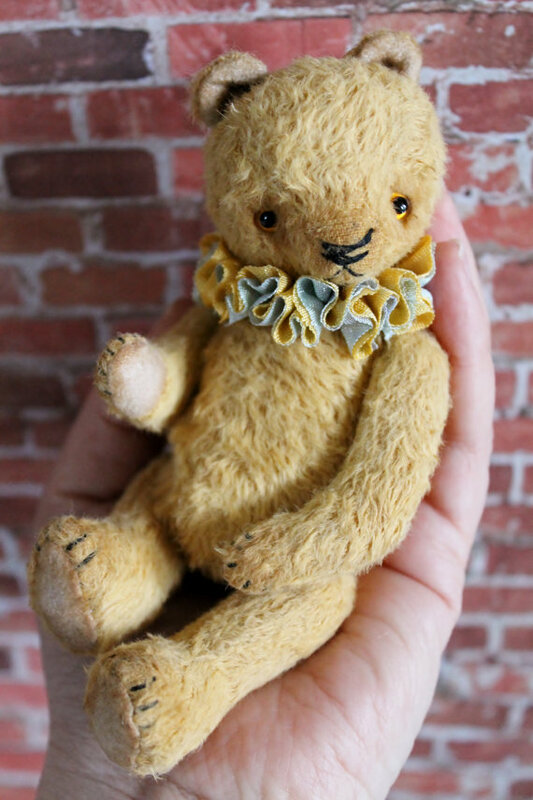 This is one of Rachel Bailey's bears..
For a odd reson, nr.64 is no longer made..
30/70 cm = ± 12/27.5 inch.